Radiology is an important tool in diagnosing and assessing dental abnormalities in patients. It is especially helpful in treating patients with problems in the dentomaxillofacial region. 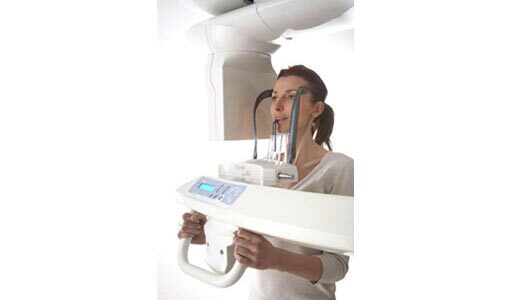 Cone Beam CT Scan Imaging, also known as CBCT, is considered an important innovation in dental X-ray diagnostics, particularly for dentomaxillofacial surgery. Unlike regular X-rays, CBCT scans can differentiate among many types of tissue including bone, teeth and nerves. High Resolution and 3-D imaging - This enables subtle structures like root canals or the periodontal ligament to be clearly displayed. Lower Radiation Exposure - CBCT uses significantly lower radiation than traditional CT scans and has a lower rate of image disturbance caused by metallic structures. Duplicate Imaging - CBCT provides images of both bone and soft tissue at the same time.